As you'll see from the date, these are now two and a half years old, but I've been sitting on most of them (apart from the odd one posted to HG) for all that time, and thought I'd be better getting some of them out into the world. 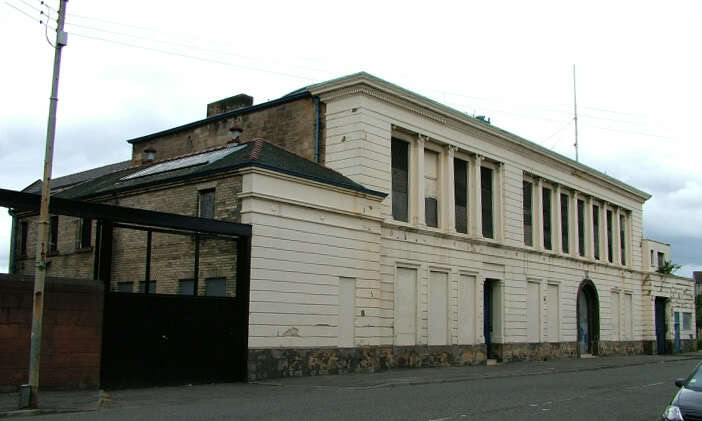 The former Govan Police Station started off life in around 1866-7, designed as the Burgh's town hall by John Burnet. It was repaired after fire damage in 1882, and sometime around turn of the 20th century, it was replaced by a new town hall. 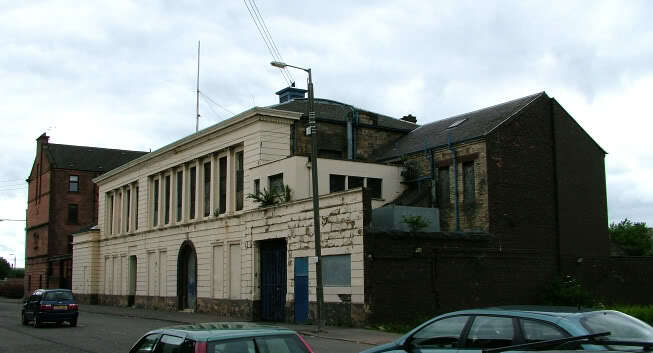 The building then became the police and fire station for Govan, with a huge new cell block being added to the rear, at right angles to the original building. New extensions appear to have been added to either side at some point around this time too, one of which created a pend through which vehicles accessed the courtyard. 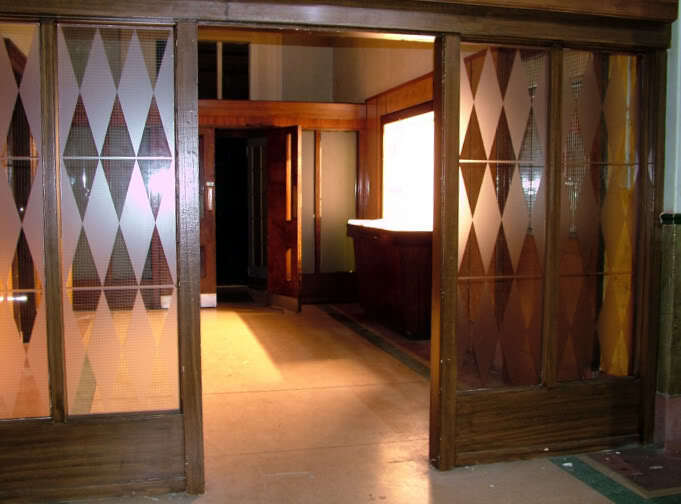 It closed sometime around the early 1990s, and has been largely disused since, although it featured regularly in TV. 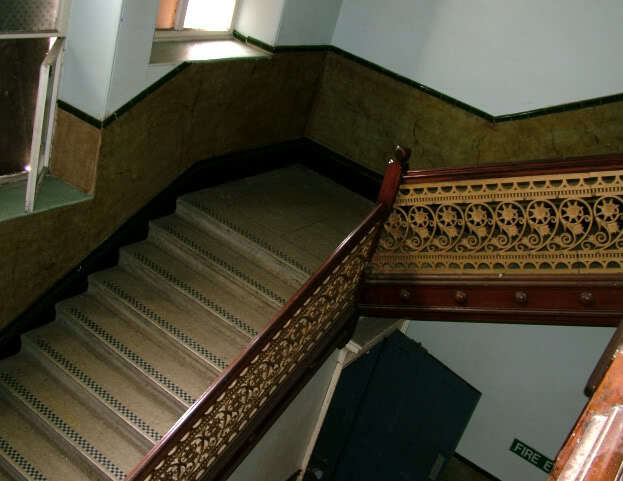 Taggart used it for a spell as their home police station, although the interior was largely plain at this point - but you might just recognise the grand staircase and some of the exterior if you catch some of the mid-90s episodes being re-run on satellite and cable channels. It was also apparently used in a documentary about the Shawshank Redemption. 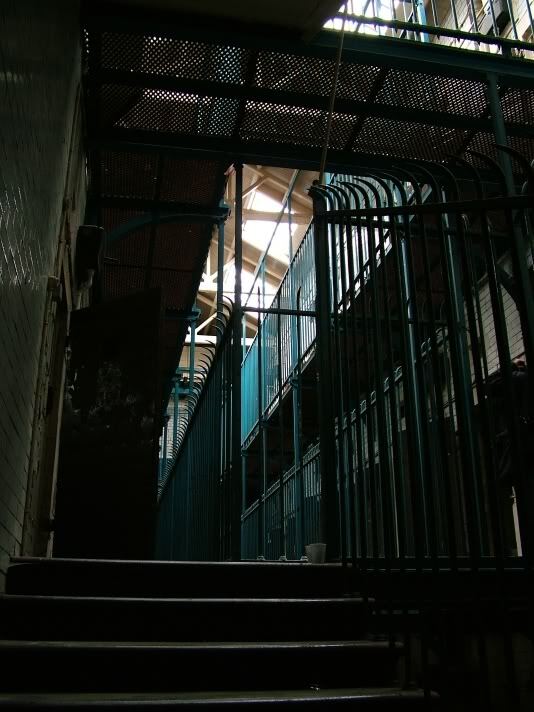 Since taking these pics two years ago, it has been undergoing a refurbishment - the main building will be turned into a space for use by various community groups, and the cell block will be converted into small offices for start-up and small businesses. 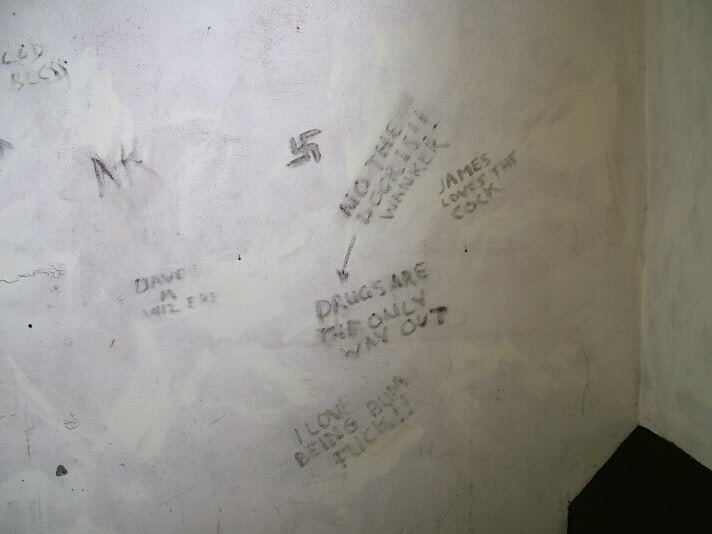 At least one of the cells is to be retained in its original condition complete with the concrete bed, toilet and graffiti. 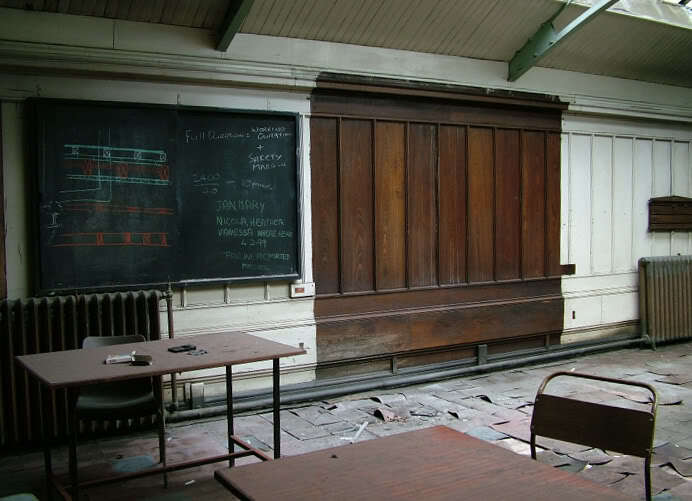 I'd be interested to see how they carry out this refurbishment sensitively - it's been a B-listed building since 1987. The access I was given with a few other folks on HG was entirely legit, and we were free to roam for a few hours. I'm annoyed I never took shots of more of the rooms in the main building and the outbuildings (including that rather odd caravan in the courtyard! ), I seem to recall having battery issues. I also had tripod issues, as my cheap and nasty effort was decidedly off the level, so forgive the squint in most shots! Apologies also for the slightly poor quality of the compression on these images, not sure if that was IrfanView or Photobucket's fault, but I can't be arsed doing it all again. One of the upper rooms is apparently a large courtroom, but at the time of our visit, it was subdivided into smaller rooms with a false ceiling, so we never spotted this. 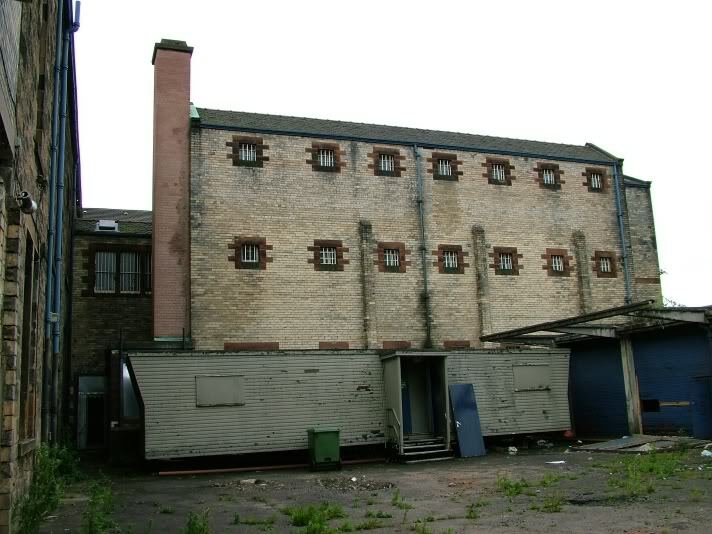 A pic of the building as it was originally can be found here on the Glasgow Story website. View from the north, showing the pend through which vehicles accessed the courtyard. 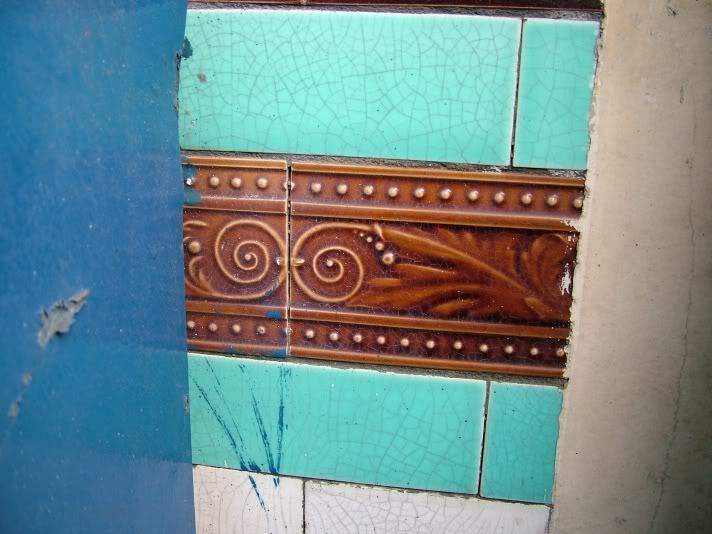 Some tiling in the entrance, which had been largely painted over - hopefully the refurbishment has restored all of these! 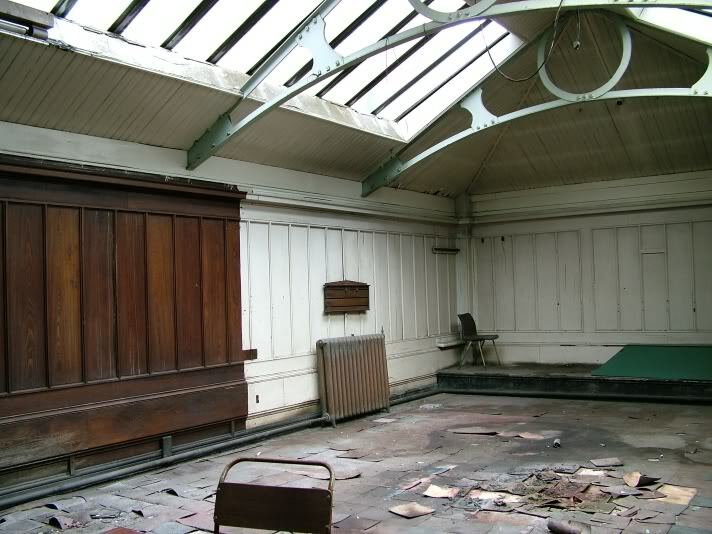 The main reception area - almost certainly not Victorian! 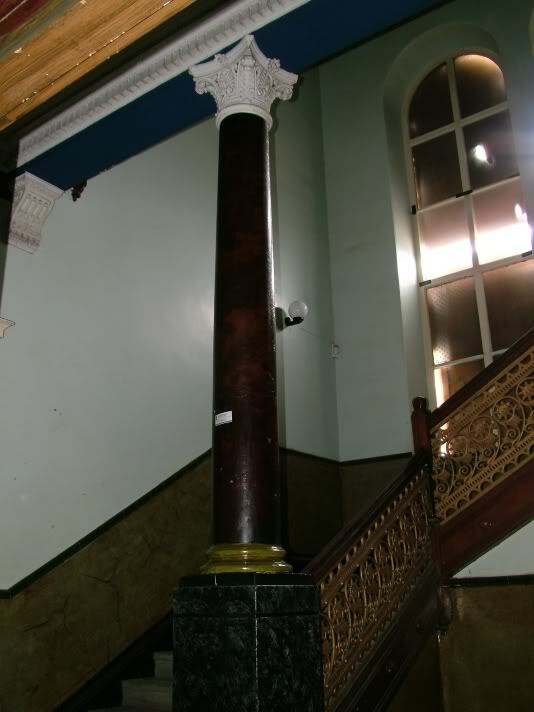 One of the marble Corinthian columns supporting the balcony in the main staircase. Not much light getting in here, making photography with cheapish equipment a bit of a challenge! 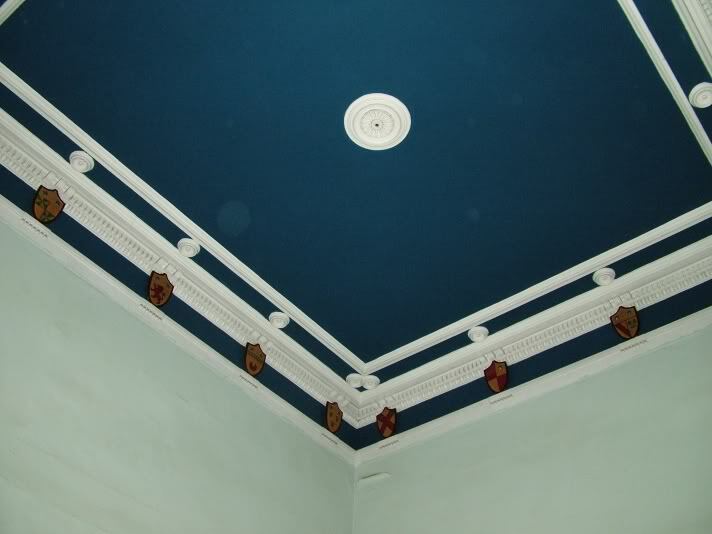 The ceiling above the stairs - not sure what the wee shields symbolised. 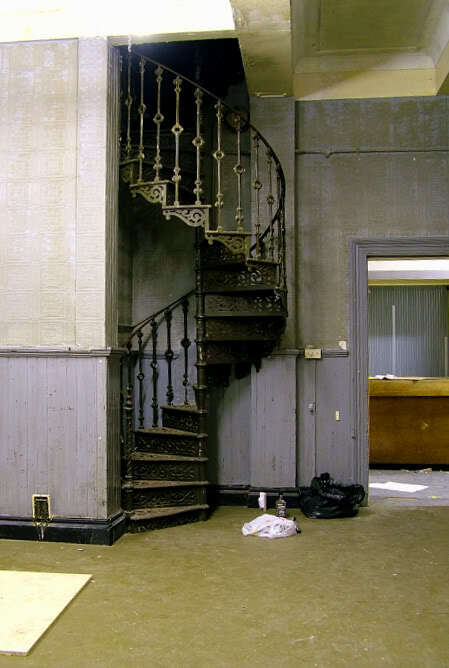 Spiral staircase in the main building - this was an odd room, the staircase was once boxed in, but the whole room appears to have been altered for some sort of filming. The boxing-in was removed, the walls painted blue then made to look grimy, and the floor was covered with a smooth surface presumably for a camera dolly. Oh, and loads of fake booze in bottles - might just make the JD bottle out on the floor there! 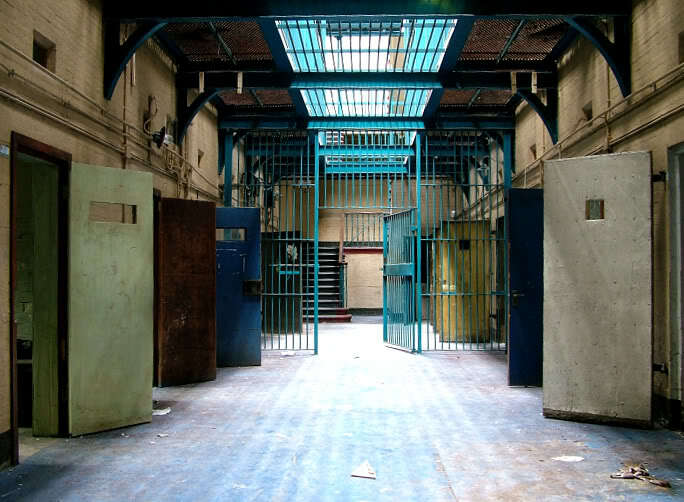 That should do for now, I'll post pics of the cell block and other areas as soon as this is approved and appears for me to reply to! View as you enter from the main police station. 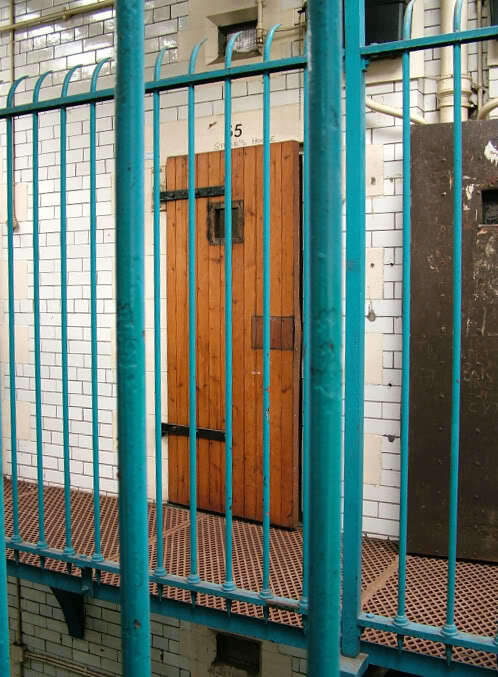 Many of the ground floor cells appear to have been modified for admin or storage use. 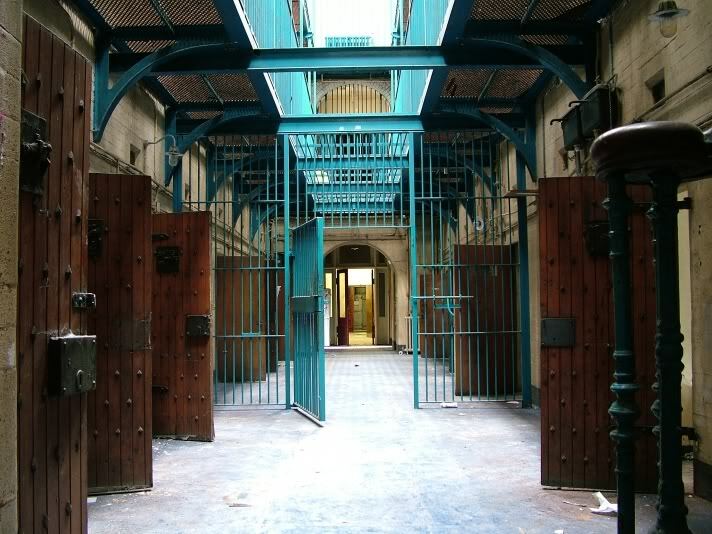 The cell block supposedly has the nickname of Little Barlinnie, as it's a bit more like a proper prison than the cells in your average local nick. 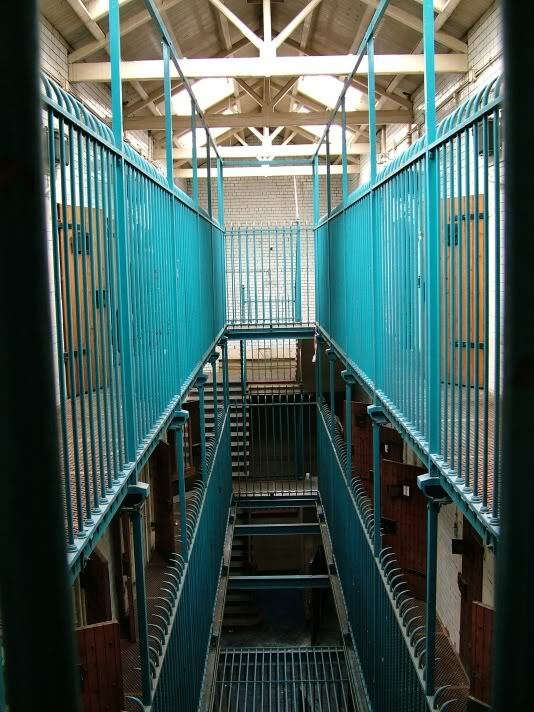 This is a view from the ground floor, looking back towards the police station and the viewpoint in the previous pic. 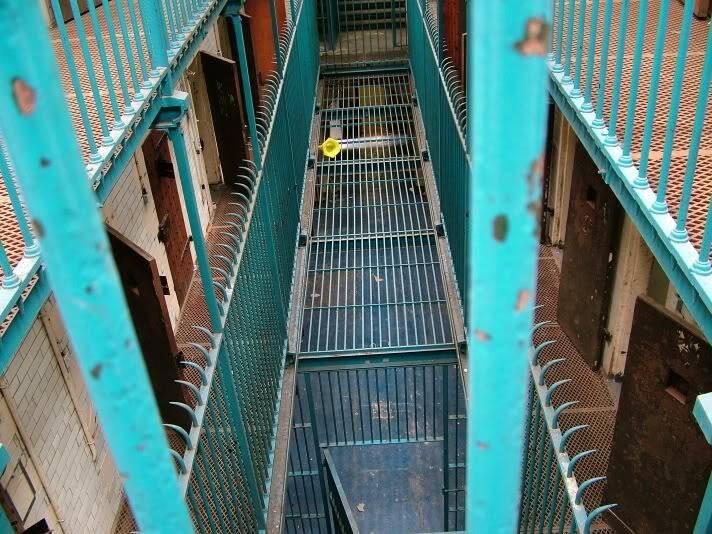 The upper floors of the cell blocks. 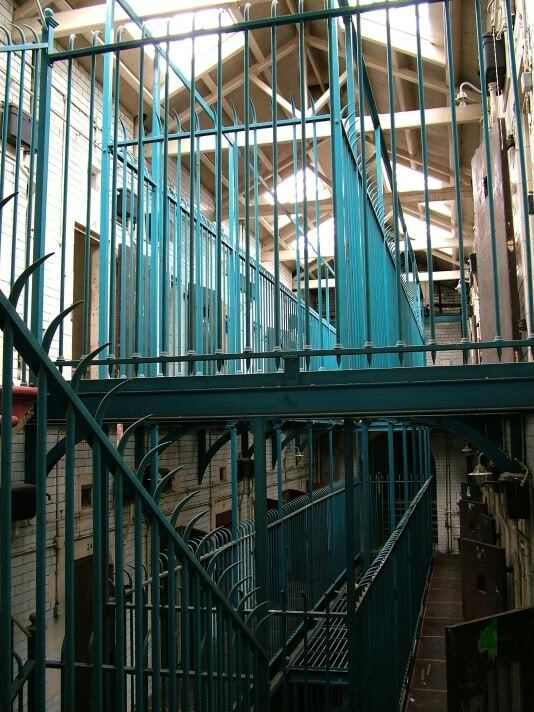 The obligatory steel bars to stop objects and prisoners from plummeting onto those below! 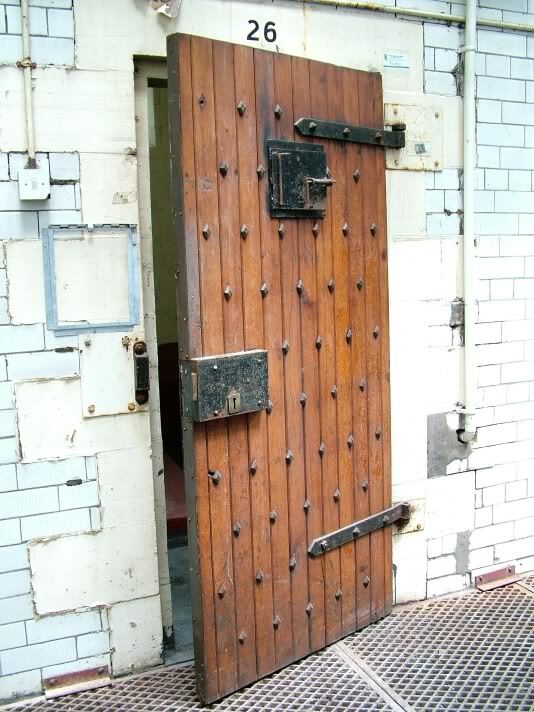 The big old wooden doors, which I'm guessing are original. 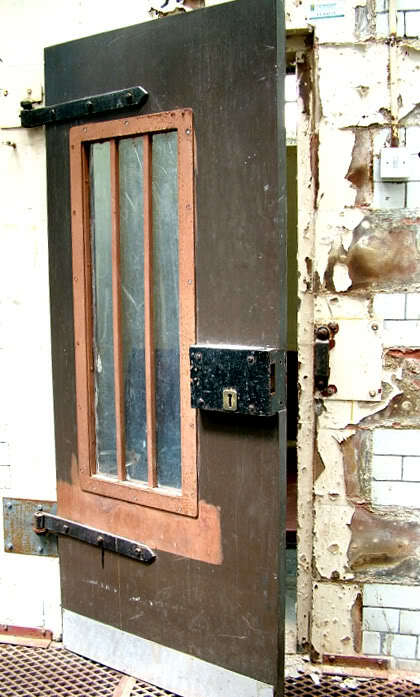 Some cells had these modified doors with larger windows - presumably for suicide watch? 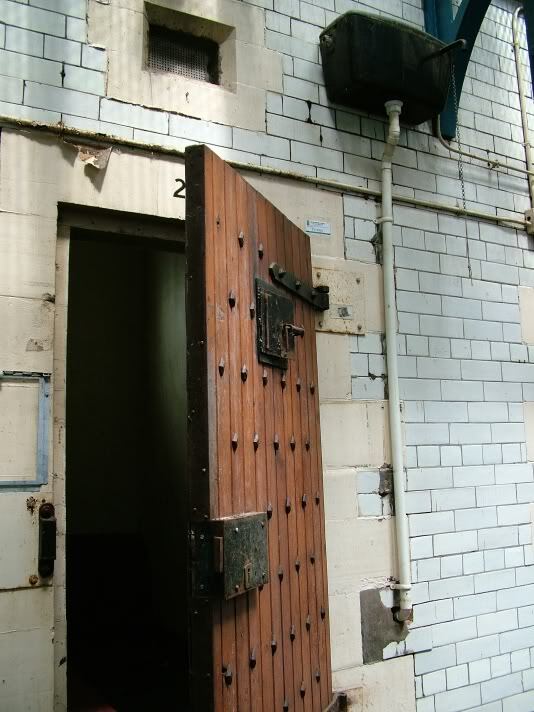 Close-up of the wooden doors. 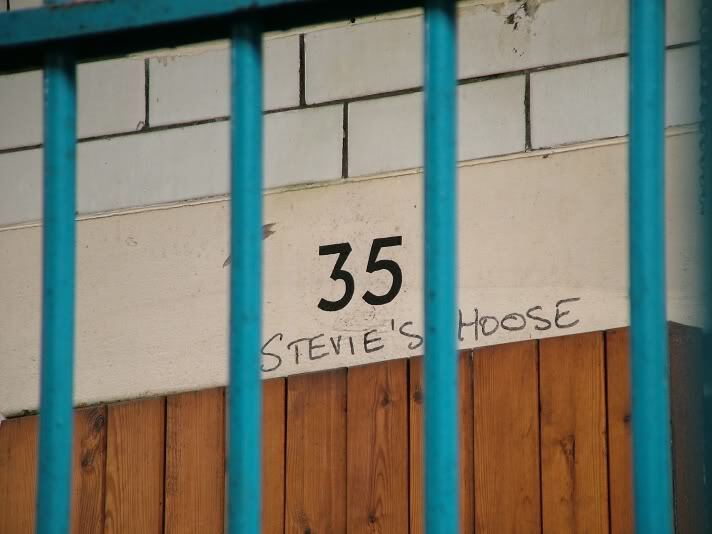 I guess Stevie was a regular! 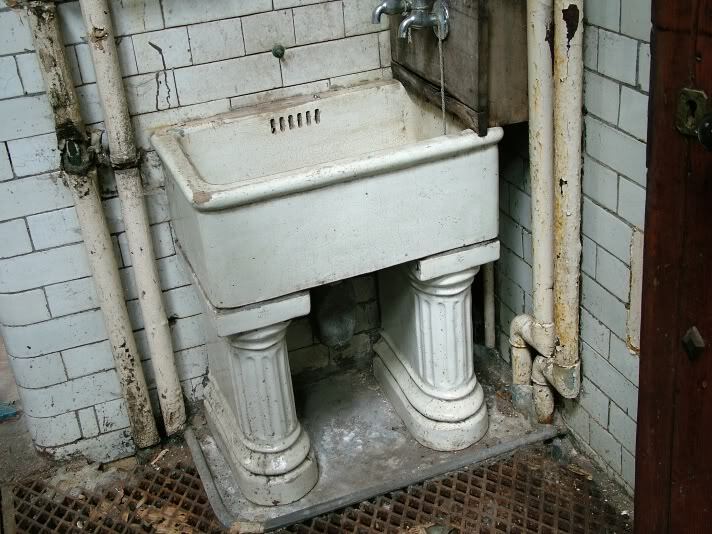 Original sink on the ground floor. 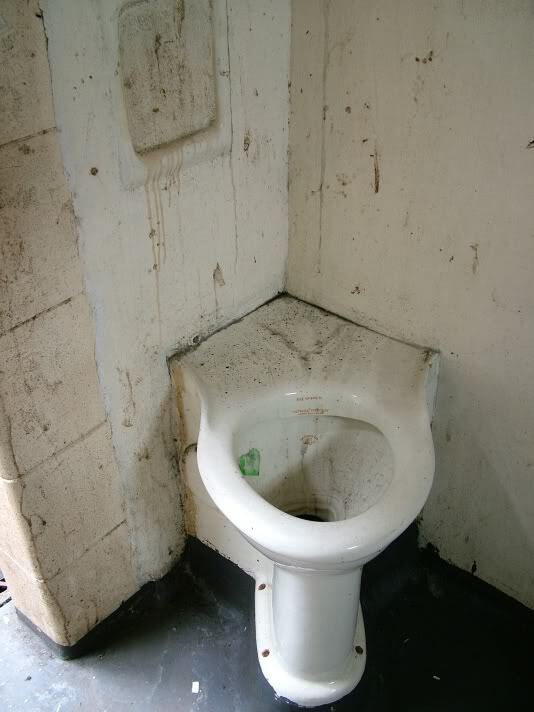 Toilet inside the cells - note the lack of seat or flush! 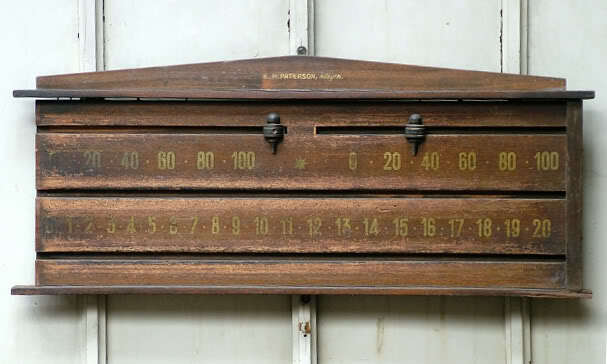 I presume this is an original one, some had been replaced with steel examples. The cistern and the flushing handle were outside, for obvious reasons! 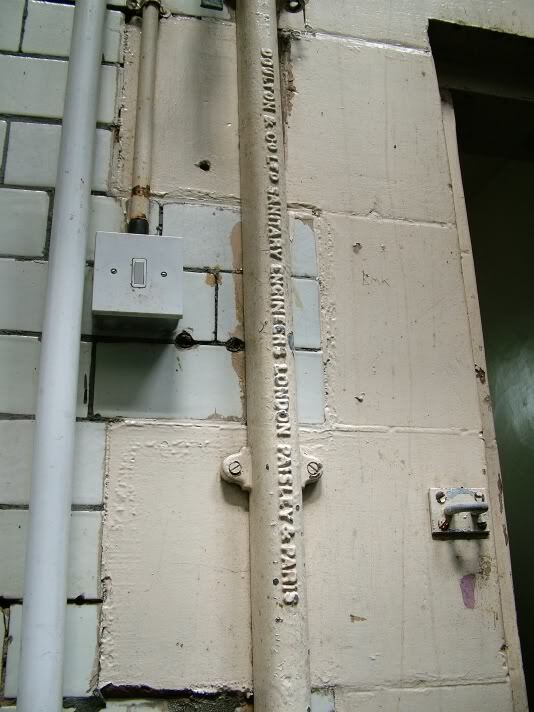 Close-up of the exterior plumbing, not often you see those three locations all mentioned together! 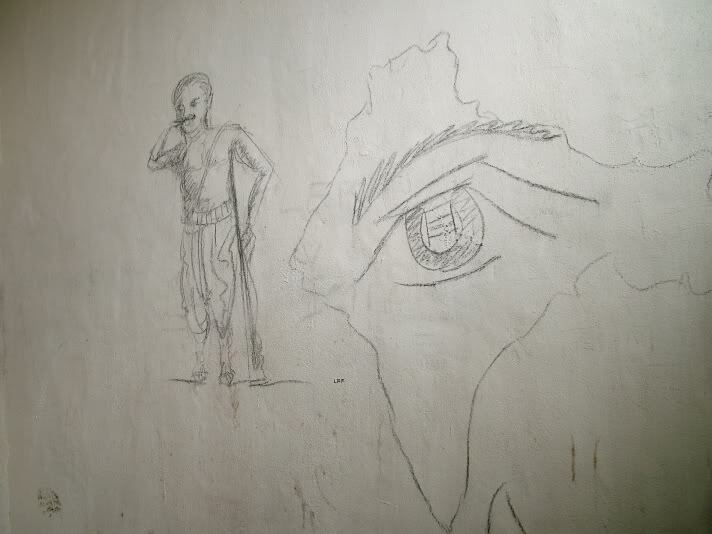 Some of the cell graffiti - hard to tell how much of it was done after closure as a police station, though. Whether there voluntarily or not, this chap clearly had a bit of time on his hands! 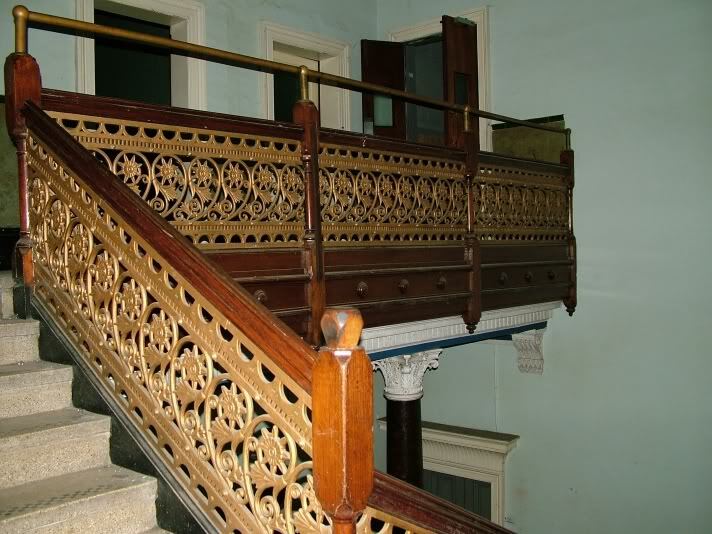 Last view up the stairs before moving outside into the courtyard and the fire station. Hopefully these will appear in the right order - this should be the third and final set of pics. In the courtyard now, and the pend is where vehicles came into off the street. 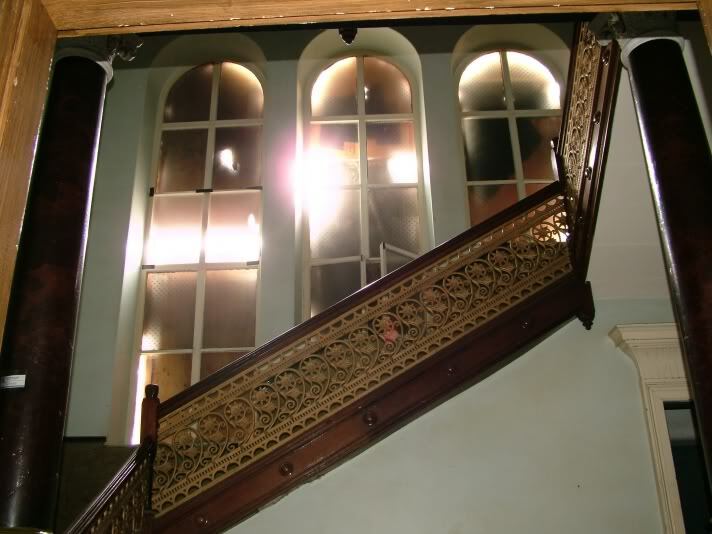 Note the big three arched windows in the original building, which you can see in the interior staircase shot in the first post. 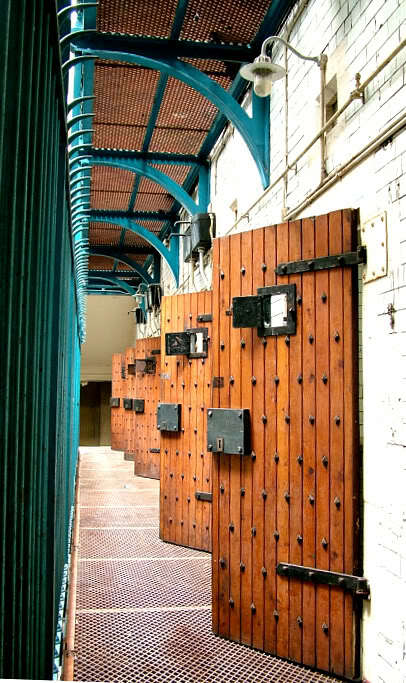 And the cell block, at right angles to the original building. No idea why they needed the large caravan, extra office space maybe? It was blue at one point. 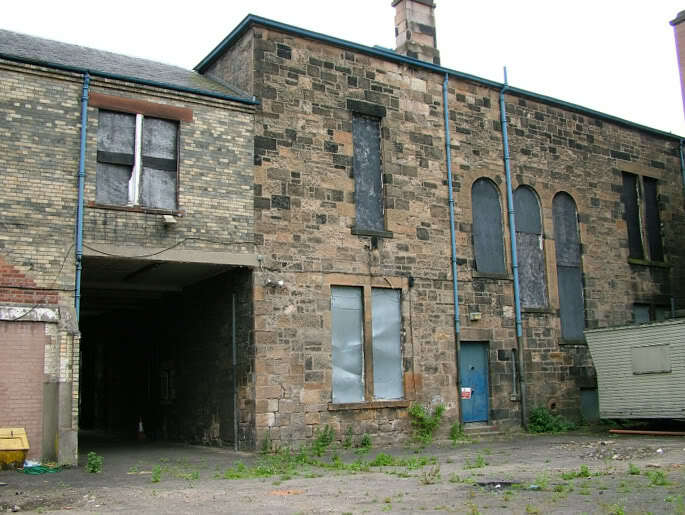 The outbuildings to the right of that contained garage space and a large Ford engine mounted on the floor, presumably a back-up generator. Annoyed I never got a pic of it. Finally, remember that extension with the glazed roof which apparently housed the fire station? 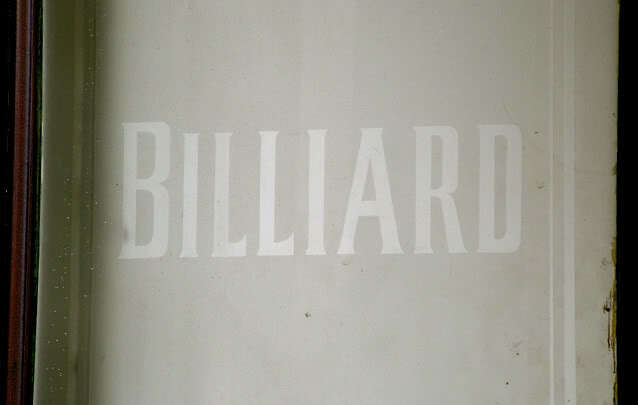 It had no door into it from the police station, and access from the exterior was not possible, but someone had helpfully sledge-hammered a hole in the party wall, so we climbed the stairs and found a rather nice billiards room in some state of disrepair. This was on the double doors leading into it. Really nice glazed ceiling and trusses, and even a wee raised stage at one end. 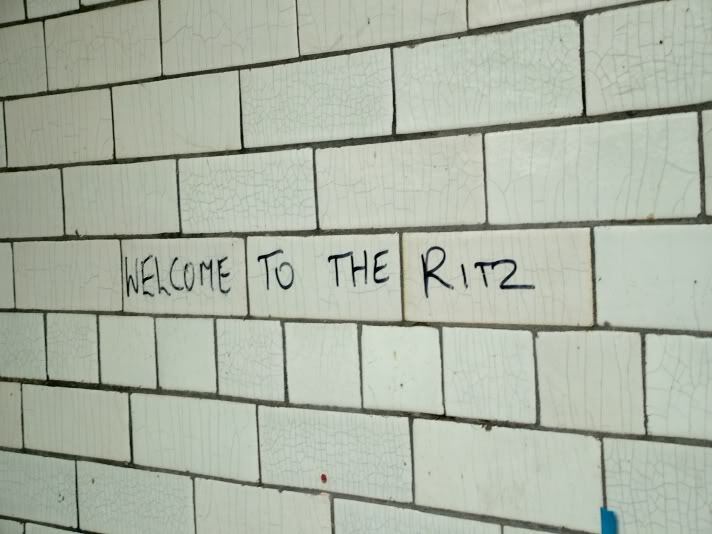 Nice to know that some folk maintain a sense of humour in such grim surroundings! So, like I said, this is almost refurbished now, so presumably looks nothing like this inside, and the courtyard is due to become a public square of some sort. Be interesting to be able to do some before and after shots. Just a shame that there was more Taggart stuff lying around (including a script!) than actual police memorabilia!